Nurses perceive the quality of care to be higher for children in paediatric emergency departments (EDs) than in general EDs, according to a study. 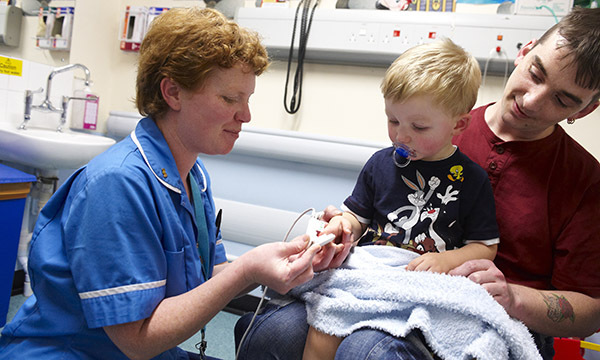 Nurses' opinion of quality care was found to be higher in paediatric emergency departments. The purpose of the research was to evaluate nurses’ views of the quality of care children receive in EDs and the actual quality of care received, and to identify factors that predict nursing staff’s satisfaction with paediatric emergency care. The researchers undertook a cross-sectional survey study to collect data from acute hospitals’ paediatric and general EDs using the 41-item Children Revised Humane Caring Scale. Responses from those surveyed varied between the two settings. Children’s nurses in paediatric EDs evaluated the quality of care given more positively than those in general EDs. But in both types of ED nurses regarded the standard of professional practice as high and felt that children were treated ‘in a respectful and friendly fashion and received help when needed’, the authors of the study write. They conclude that key predictors of quality of children’s care in EDs include the professional practices of nursing staff, collaboration across teams and adequate human resources. In terms of practice implications, the authors say that ‘in EDs children should be treated by nursing staff and facilities designated for them and teamwork skills should be maintained in the training of nurses’.